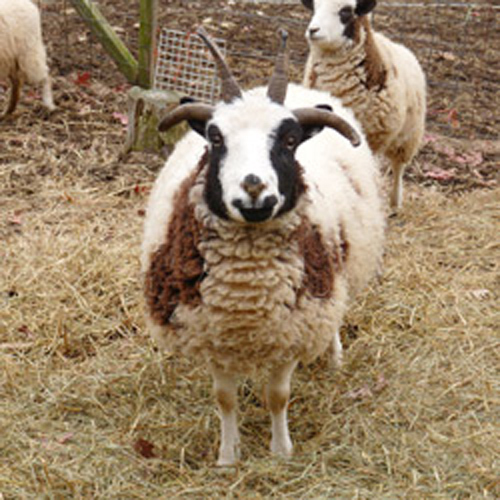 Last fall, because some of my breeding groups were not in easy sight of the house, I used marking ink on two of my rams. 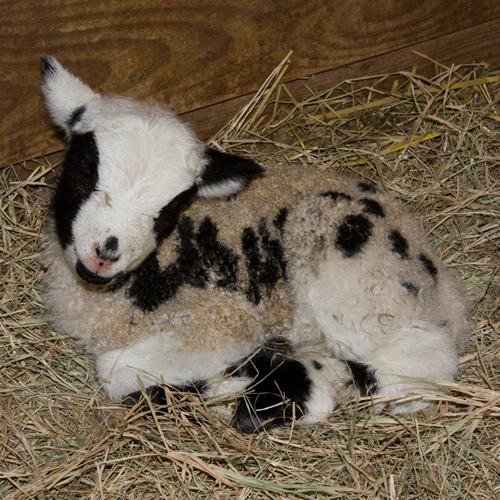 Most years, I witness either actual breedings or ewes in heat and have a fairly good idea of when lambs are due. How convenient it was going to be this spring, knowing just when the lambs are due! or maybe due..or not due..
Luckily, the ewes know when it’s time to lamb even if I don’t. Badger was inked on 9/22 and again on 9/28. Not the interval between two heat cycles. One mark was obviously a bit of wishful thinking on the ram’s part rather than an actual breeding. But, which one? I just don’t have this inking thinking down pat yet, figuring the second inking was probably the real deal. and his four horned sister. In case you are wondering who the sire is, this guy looks familiar. Love all the smiling faces. 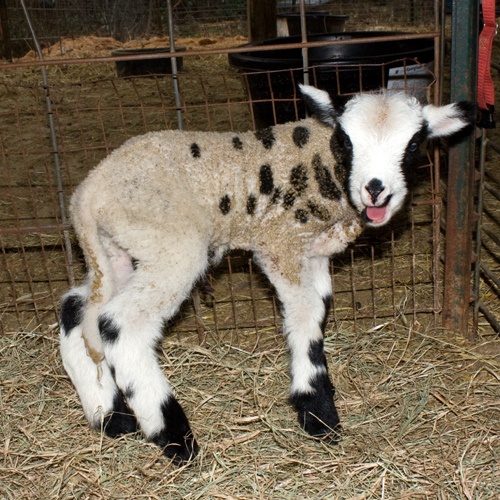 This entry was posted in Jacob Sheep. Bookmark the permalink. 6 Responses to We’re Here! Does Patchwork have a facebook page? I have a Facebook in my name, but not a page for the farm. 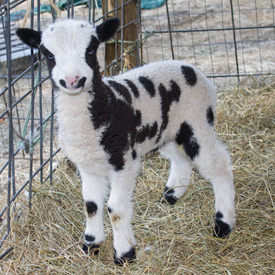 I post pictures of lambs there when I think about. 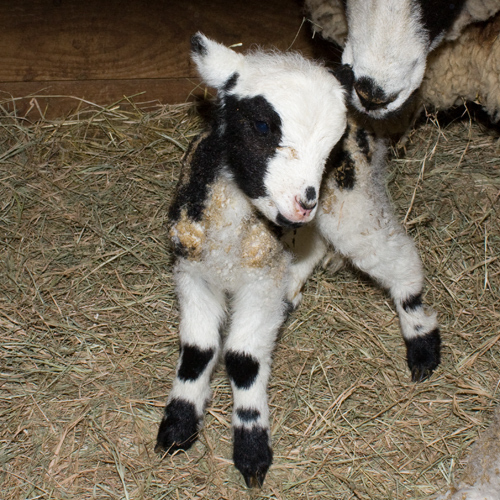 I don’t plan on doing a farm page on Facebook – all the information gets so spread out. Thanks. The fleeces look very, very promising at this point. Look at those fleeces, beautiful.